The Flower Expert welcomes the flower enthusiasts to the special feature - Flower Blogs where the flower lovers can share the knowledge about flowers and flower related topics with the flower admiring community world-wide. For any general questions and doubts on flower blogs and blogging, you are requested to go through Frequently Asked Questions on Flower Blog. In addition, the Step-by-Step Guide To Flower Blog gives you a a detailed notes on how to blog on flowers. Post your comments on anything related to Flowers & Floral Industry. You can create a blog instantly without the hassle of username and password. And you can also view our monthly . I do not know what this is but is the best smelling flower right off the tree. I found it in Cuba where I am stationed for a while. I want to know what this is so that I can grow one at home. I live in hot ol Texas smae heat that is here in Cuba, I think it will do well back at home. I have some plants that I got seeds from someone else. I've love to have more (I've been harvesting the seeds they produce each year, but it's not enough). I've included a few photos - the flowers are white, pink, coral, yellow and red. Any ideas what they are? Artificial or Real Wedding Flowers? The Advantages of Artificial Wedding Flowers. Artificial or Real Wedding Flowers? The Advantages of Artificial Wedding Flowers. How do Artificial Wedding Flowers Compare to Real Wedding Flowers? This is just one question in the myriad of decisions facing today's modern bride. There are just so many things to take into account when planning a wedding. Choosing the right flowers is just one decision, but it's a very important decision that could make or break your entire wedding theme. This blog will go some way in helping you make the right choices for your wedding flowers. Whether to have real or artificial wedding flowers is a decision that's best made informed. So, let's look at some of the obvious advantages and disadvantages to help you decide. Traditionally, brides have tended towards real flowers as their first choice. Real flowers have a natural scent and a true beauty that no one can deny. For people who love flowers, it is sometimes hard to consider artificial flowers. However, real flowers have some serious limitations that you need to consider. Below we look at each consideration by comparing and contrasting the choice of real or artificial wedding flowers. Some of the main disadvantages with real flowers come from the fact that they can wilt in hot weather, or worse still, they can die in transit if they've not been stored or shipped under the right conditions. To minimise the risk of your flowers wilting or dying on your wedding day, timing becomes absolutely essential. You need to put a lot of trust in your florist to deliver on time and to take great care that your bouquets and arrangements are cared for and treated properly. If you choose real flowers, then they must be prepared a day or two before the wedding itself, kept in perfect conditions and delivered with impeccable timing. A lot of people would consider wilted or dying flowers as a sign of bad luck, but worse still, we've heard some real horror stories with real flowers not arriving on time for the wedding at all! Can you imagine, no flowers? Consider the difference with artificial flowers, which clearly take these risks completely out of the equation. Artificial flowers can be prepared well in advance, so there's no last minute rush or panic and they don't wilt or die. 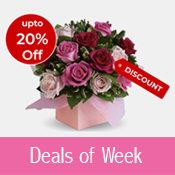 You can take delivery of artificial flowers weeks or even months in advance. At Silk Blooms, we consider the option to buy your flowers ahead of time as an opportunity to help you spread out the cost of your wedding. That's why we offer a flexible, interest free payment plan. Allergies and Hay Fever, Should you Use Real Wedding Flowers? Not everyone suffers from hay fever or flower allergies, but with real flowers it can really ruin your day. Especially with the more pollen rich species like lilies, anthurium's, roses and anemone's. Artificial flowers are definitely the best choice if you don't want a red nose and watering eyes in your wedding photos. Pollen can be a real annoyance for you and your wedding guests, but it can also cause bad stains on fabrics. So, keep real flowers well away from your wedding dress! Are Artificial Wedding Flowers Cheaper? Price is just one small advantage of artificial versus real. The cost of artificial flowers is generally less than fresh flowers, but beware of sellers who are still using older silk fabric flowers of inferior quality. The newest ranges of artificial flowers use cutting edge foam and they are almost impossible to tell apart from real flowers. As a result, the price of artificial wedding bouquets are rising. Still marginally cheaper, but comparable to fresh flowers. The quality and realism of artificial flowers does vary, but the best quality, more modern and most realistic flowers are the ones you should use. An artificial bouquet takes a florist the same amount of time to prepare as a real bouquet, so the difference in price between real and artificial flowers is an advantage, but it's not always a huge difference. The type of flowers you choose can have a big effect on the cost of your wedding flowers. Ask your florist if your choice can be substituted with cheaper alternatives. 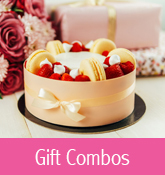 You should also try to order in bulk as this will save you costs on multiple delivery charges and you will often find that the florist will give a better price for bulk purchases. If you order all your buttonholes, corsages, bouquets and table arrangements for the entire bridal party at the same time then you're sure to get a better deal! Realism, How Real Looking are Artificial Wedding Flowers? If you opt for a quality florist, like www.silkblooms.co.uk then you are guaranteed the best artificial wedding flowers. We use only the finest range and our flowers are very realistic indeed. You may hear the general term, 'silk flowers' used to describe artificial flowers, but in reality today's flowers are not made of silk. To create the most life like replicas of real looking flowers, manufacturers have started to use foam as the fabric of choice. Foam is more rigid and far more durable than fabric, so it doesn't shrivel and it's waterproof nature makes it easy to wipe clean. Foam is simple to shape and cut so it doesn't fray at the edges and looks sharp and crisp like the real McCoy. Foam is used these days to create the most realistic roses we have ever seen. Truly life like imitations are easy to achieve using the clean crisp lines of foam fabrics and the range of floral designs and colours is truly limitless. Artificial table arrangements at a wedding ceremony are the centrepiece of your table and rest assured, they will be scrutinised by your guests. The flowers that we use will have them fooled, even if they reach out and touch them. Our flowers are really convincing because we use modern, top of the range artificial flowers. The only thing that gives them away is the fragrance, but you can purchase perfume for artificial flowers, which makes it extremely difficult to tell. Something else to consider with artificial wedding flowers is their lifespan and durability. As previously mentioned, artificial flowers last forever. They wonÃ¢? ?t wilt and they wont die. 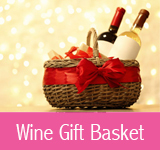 You can take delivery well in advance of your wedding and you can keep them forever after as a keepsake. If stored properly, they can be kept indefinitely. This is a clear advantage for the sentimental bride who wishes to forever preserve her bridal bouquets. Choosing artificial wedding flowers means you have a lasting reminder of your wedding day without the additional cost of wedding bouquet preservation companies who charge over the odds for this service. Floral preservation is a costly business, so why add this to your budget when artificial flowers can be kept forever as souvenir to remind you of the day? Even when real flowers are preserved, they eventually result in brittle, dried flowers. This is a major drawback for romantic brides who wish to preserve their bouquets. Artificial flowers can be kept for years and years and they'll still look as beautiful come your daughter's wedding day as they looked on your own wedding day. Moreover, they they are much more sturdy than fresh flowers and will take more abuse, for example when being carried by a young child. ThereÃ¢? ?s no worry about your flower girl mishandling her bouquet or dropping your flowers. Unlike real flower bouquets, artificial bouquets are extremely durable. To store your artificial wedding flowers before or after your big day, just wrap them in acid free tissue paper or clear florist rolls and keep them in the box they arrived in. Keep them out of direct sunlight. Artificial flowers arenÃ¢? ?t seasonal, you can have your favourite flowers all year round. Available in a vast array of colours and always in season you can have virtually any flower in any colour at anytime of year. Unlike fresh flowers, they are always in season. Out-of-season flowers are no longer an issue, you can be guaranteed your favourite flowers and a perfect match to your colour scheme, from January to December. Artificial flowers are really, really light so carrying them is completely effortless. You won't feel burdened by them on your wedding day! Unlike fresh flowers, with a heavy water content, artificial flowers weight practically nothing. This makes them perfect for weddings abroad. Lightweight and durable, they're so easy to pack and so easy to transport. Just pop them in your hand luggage and take them with you. A clear advantage when you consider cross border controls. The UK will not allow you to bring your bouquet into the country if you've taken it home from a wedding abroad! It seems when you weight up the pros and cons of real flowers versus artificial flowers, you may wonder why you even considered real flowers in the first place. Add into the equation the advancements in today's material and manufacturing technology and the realism of artificial wedding flowers will astonish you. Gone are the days of cheap silk fabric flowers that fray and shrivel. Today, foam fabrics and superior manufacturing makes artificial wedding flowers the choice of the discerning, modern bride. Artificial wedding flowers are becoming more and more popular for weddings and this huge increase in the popularity is testimony to the realism of today's fake flowers. It really is hard to tell the difference. As a designer of artificial wedding flowers, I can see why they are taking centre stage, especially over the winter months when some popular fresh flowers are not widely available. Although they do not have the same scents and delicateness of real flowers, artificial flowers last forever, so the bride can have a lasting momentum of her day. We hope we have helped in your decision between fresh or artificial flowers. If you require any help in choosing please contact us for advice. I used to have a yellow flower that grew on long slender stems. It looked a bit like a dahlia but it wasn't, athough the petals were quite tight. Any idea what it would be. Let your Flower Boquet Live Long!! Last modified on Aug 28, 2010 | TFE v1.2 | © 2005-2017 Gifting Inc.